In addition to this, nitrates and nitrites have been linked to “stalling” or unexpected stops in weight loss. It happens even when consumers are on low carb diets, such as Atkins, Southbeach, and Keto diet. Or any other diet which specifically prescribe the consumption of meat that could potentially contain nitrates and nitrites. 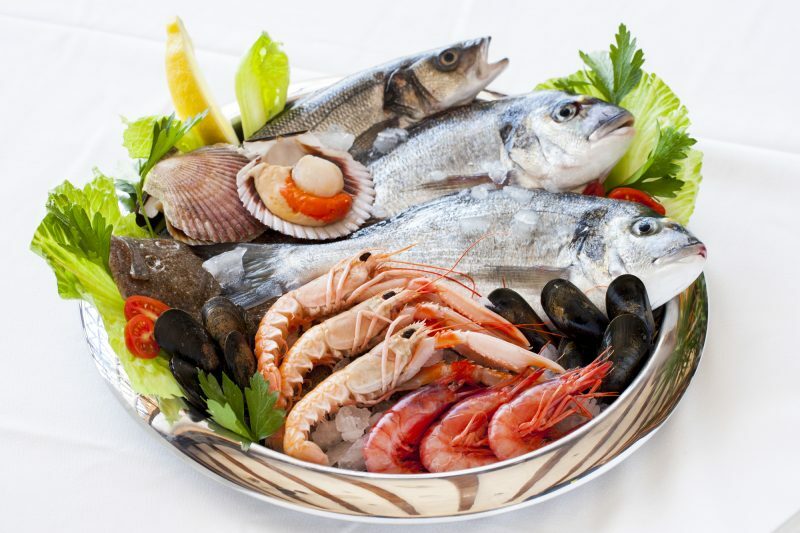 Close up of fresh mediterranean seafood on ice. Cured meats are also generally high in LDL cholesterol. Experts say, it is responsible for clogging arteries, when it slowly deposits and then mixes with other compounds to form plaque. Which is a hard substance that blocks passageways, preventing the flow of blood to the heart. If you subscribe to a low carb weight loss plan, you should monitor your intake of nitrates and nitrites carefully to mitigate the accumulation of carcinogenic nitrosamines and prevent “stalls” or high levels of bad cholesterol caused by over-consumption of fatty cured meats. If you do continue to consume a sizable portion of these meats on your low carb diet, you should try to find a source of preservative-free, fresh meat. Whether it be a local butcher or a mail-order meat source. In addition, you should specifically choose meats and portions that keep your cholesterol consumption below 300 mg/day. And also your fat intake at a reasonable level according to the precepts of your low carb diet. Clenbuterol is a bronchodilator drug, normally prescribed for the treatment of asthma in horse. Fitness enthusiasts and body builder have started taking it for fat burning. It doesn’t burn fat directly like Phentermine or Ephedra, but aids in enhancing gym performance. Many athletes who were caught on Clen positive scandal blamed contaminated meat for it (ref). In this case, the animal was given Clenbuterol for respiratory problem or increasing its weight.